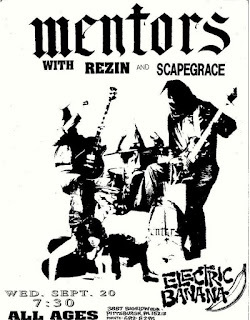 Scapegrace photo and gig posters on this page courtesy of Bill Munz. Sour Wine Cult photos courtesy of Chris Palmer. Scapegrace at the Electric Banana. 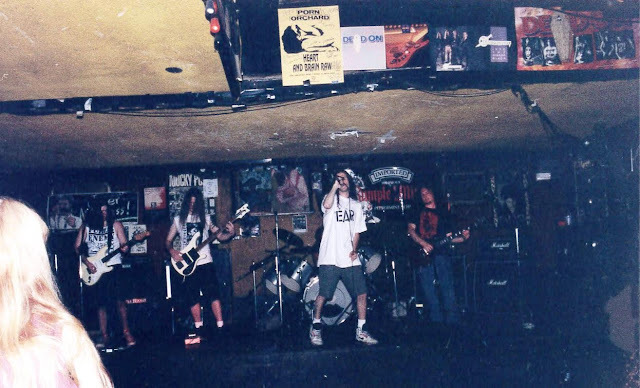 Left to right, they are Jason Roller, Derek Anderson, Shawn Callahan, and Bill Munz, with Dan Moore on drums obscured by Shawn. 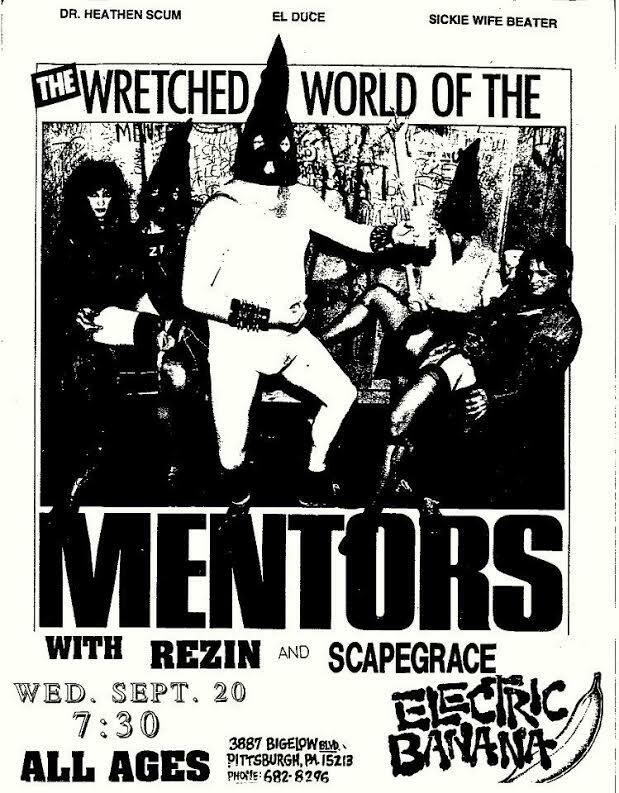 A rather subdued Sour Wine Cult outside the Electric Banana in 1995. Scroll down for another photo from the same year. 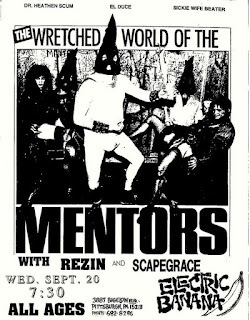 7/30/95 – The Cynics * Thickhead Grin * A.T.S. 8/12/95 – Mold * The Drillers. Outside the club again with Sour Wine Cult. They reunited in 2014 to record the album they never got a chance to make the first time around.